Your car’s tires work hard for you every day. Even what seems like a calm drive down the open road is putting inevitable wear and tear on your tires that will eventually need to be address by replacing them. That being said, there is quite a bit you can do to prolong the life of your tires when you service your vehicle with the experts at Lujack Motorwerks. The expert service team here at Lujack Motorwerks knows all our clients lead busy lives. We also know that obligations to both your family and business can sometimes prevent you from scheduling the routine maintenance your car needs to perform as efficiently as possible. This is often particularly true of tire rotations. Positioning your tires around each of your vehicle’s four different wheels every 3,000 miles (or every three months) insures that each tire wears down evenly. Regular rotations not only increase the lifespan of your tires (saving you money on a new tire purchase) but also helps you maintain optimum handling and the chance to spot suspension wear-and-tear before it becomes detrimental to your vehicle. Can’t remember the last time you had your tires rotated? Growing weary of poor corner traction or unreliable handling? Visit the expert team of parts and service techs at Lujack Motorwerks today at 3602 N. Harrison St, Davenport, IA. You can also schedule an appointment by calling 563-445-4305 or by using our simple Service Application. When you contact us to set up an appointment, you can expect us to cover the complete details of your visit so that you can rest easy knowing exactly what work will be performed. From there, simply sit back and relax knowing that your Mercedes-Benz and its tires are receiving the care they deserve. Faulty brakes are all-too-often blamed on external conditions. If you’ve been sliding a bit as you approach Stop signs and red lights, it’s not that your neighborhood is due for a new coat of pavement or a more efficient snowplow crew. It could, in fact, mean your brakes are in need of service. Have you been hearing noises? Think that screeching or grinding noise is coming from the car behind you? Think again. Worn calipers and rotors can make some pretty funky sounds, some of which you might not even realize are coming from your car. Nearly all brake pads come equipped with wear indicators that squeal when your pads need replacing – but the noises they make aren’t always easily recognizable, especially if you’ve got the stereo cranked up or, like the rest of us, ten other things on your mind. In fact, having your brakes checked and repaired before they go completely caput can often save you quite a bit of money in the long run. Drivers from around Iowa can put a stop to all their brake-related questions by calling the parts and service experts at Lujack Motorwerks. Our team of experts is trained to handle all of your routine service needs, from brake repair to oil changes, tire rotations and diagnostic checks. You can also schedule a brake appointment by calling (563) 445-4841 or by using our simple Service Application. Contact us to arrange an appointment, and we’ll go over the complete details of what work you can expect our expert team to perform. If there are any lingering questions after regarding you brakes, we’ll address those as well. We want your visit to our service department to be one that’s informed, relaxed and enjoyable. We hope to see you soon! When is the last time you checked under your car’s hood? Was it when you last refilled the blue juice? Or that time you heard a weird noise in there? If your car has been starting sluggishly of late, or if its electronics have been dimming, it’s not ghosts. In fact, it might be time for a battery replacement. Car batteries have a life of about three to four years, but if you notice strange leaks or corrosion on your battery before this period of time has passed, you may be due for a replacement sooner. Your car’s battery does a lot for your car over the course of its life – everything from giving the engine the jolt of energy that it needs to start up to powering the electrical components that make modern driving so comfortable and convenient. It only makes sense that you’ll want to keep your battery in perfect working order, and of course, replace it when the time inevitably comes. The professional parts and service technicians at Mercedes-Bens of Des Moines have all the tools and experience to inspect, service or replace your car batteries at a moment’s notice. So if it’s been a while since you’ve looked under the hood, if even if your car just isn’t acting like itself, it’s time to visit us at 3602 North Harrison Streer, Davenport, IA. Schedule an appointment with ease by calling (563) 445-4841 or byby using our simple Service Application. Either way, contact us today, and we’ll be happy to set you up for an appointment at your earliest convenience. Our team will cover the complete details of your visit and answer any questions that you may have so that you can know exactly what work will be done during your appointment. Many items affect the durability of your vehicle’s painted surface. The fact is that your vehicle’s finish is constantly bombarded and attacked by minute particles of dirt, concrete, sand, industrial fallout and pollution. Harsh weather conditions such as rain, wind, snow (and accompanying road salts) will dull your vehicle’s finish. Next to your home, your vehicle is probably the second largest investment that you will make. Protecting that investment with one of the many programs offered by your detailing professionals at Lujack Motorwerks is a sound decision. At Lujack Motorwerks, we feel that we have taken auto detailing to the next level by assembling a team as some of the finest professionals in the detailing business. With over 25 years of vehicle restoration experience and a passion for the elegance as beautiful automobiles, we strive to carry on the great heritage of Mercedes-Benz. Don’t own a Mercedes-Benz? That’s ok. We provide detailing services for all makes & models. So whether you choose our exterior supreme express wash or deluxe concours detail & restoration package! Careful cleaning and the precision application of our polymer sealer provides a lasting luster and protection for exterior paint and chrome. This helps to filter out ultra-violet rays that cause deterioration. This process also armors your vehicle’s exterior, helping to resist corrosion, oxidation and fading. Thorough cleaning and effective protection for interior leather and fabric is essential to maintaining the appearance and value of your vehicle. We feature Blue Coral’s premium paint, leather, vinyl and fabric shield as part of our protection package that will keep your investment looking new for years to come. Want to keep your vehicle looking its best? Ask us about one of our paint protection film packages. This high tech film offers outstanding protection against rock chips for both your paint and headlamps. Clear colorless 3M Paint Protection Film helps preserve your vehicles finish by protecting vulnerable painted surfaces from common road hazards such as stone chipping and bug damage. Been out for a recent night on the town only to discover that someone’s put a ding in your vehicle’s door? No worries! We offer on premises paintless dent removal. Our professionals will have your prize possession looking new again in no time. 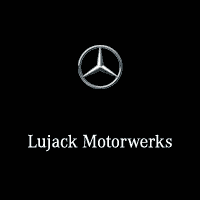 At Lujack Motorwerks, our goal is complete customer satisfaction. If for any reason you are not completely satisfied with any application, we will do whatever it takes to satisfy your needs.